Seven weeks of almost-constant fighting came to an end on Tuesday when Israel and Gaza agreed to an indefinite cease-fire. Airstrikes continued until just moments before the truce was set to begin, but when an alarm sounded at 7 p.m., all fell quiet. Officials have reported there's been no violence since it began. 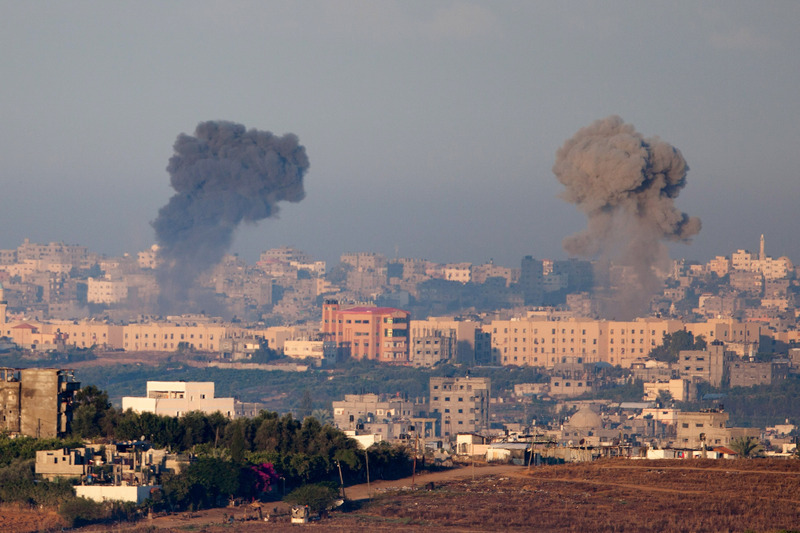 We've had a whole series of cease-fires that unfortunately were violated by Hamas. We hope this one does hold. It's good for the people of Gaza and it's good for the people of Israel. Certainly, civilians will be positively affected if the two countries are able to move forward in peace. Overall, 2,200 people have been killed since the air strikes and rocket launches began. In the last moments of the last attack, two Israelis were killed by mortar, and in Gaza two children were killed by an airstrike. As The New York Times points out, the deal isn't exactly a victory for either side, with a cease-fire looking almost identical to one put on the table just a week into battle. But Hamas sees it differently. The Washington Post reported that civilians and Hamas members celebrated in the streets. "We have won,” the Post reported Hamas spokesman Sami Abu Zuhri saying, adding that they have "defeated" Israel. Under the deal, Israel will loosen restrictions on construction and materials and relief aid going into Gaza. Fishermen in Gaza will also be able to go further offshore under this agreement. Still, there's more to be hammered out next month, including an airport and seaport in Gaza and the release of Palestinian prisoners. So, will it hold? Though Hamas compromised on many of their demands (for now), they seem to be happy about the agreement. It was certainly a neutered one. There will be no big changes either way, which for now may stem the fighting, but won't do much in the long run. The New York Times noted that this deal essentially holds them to the same standards that Israel and Palestine agreed to in 2012. So for now, yes, the cease-fire may last. But history has shown that it can and will repeat itself for Israel and Palestine, and it very well could once more unless real solutions are put into place.